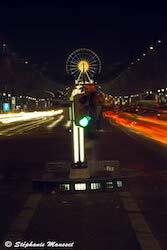 Paris by night photos gallery proposes a virtual guided tour of main monuments of the city of lights. 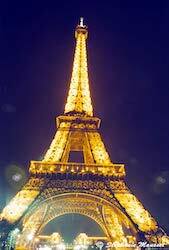 Paris, France is one of the most visited hence most photgraphed city in the world. Its monuments as well as its history attract tourists from all around the world. 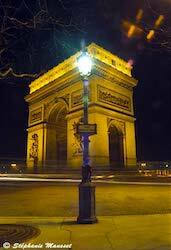 We offer you a Paris by night visit at no cost to get familiar with french capital. Night view of the illuminated Eiffel tower seen from the champ de mars. In the background, you can see the Trocadero. 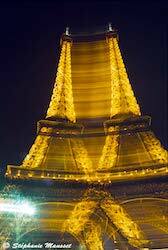 Eiffel tower seen from the same spot but with a rotation of the camera which creates twin Eiffel towers. Arc de triomphe from Etoile place. Champs Elysées by night from the Concord place. 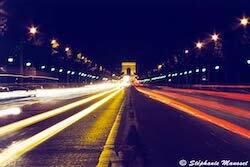 The impression of grandeur is emphasized by the lights of the cars converging to the Arc de triomphe which we can spot in the backgroung. Night view of the Champs Elysées from the Arc de triomphe. 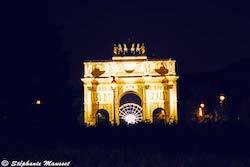 This is the Arc de triomphe of Carrousel du Louvre, smaller than the famous Arc de triomphe located on the champs Elysées. 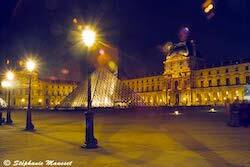 Esplanade of Louvre museum tactfully illuminated, emphasizing its beauty by night. 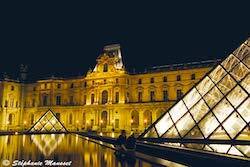 Glass pyramid of Louvre museum, an architectural success. 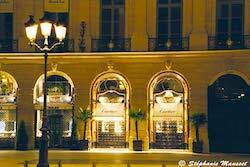 Cartier store located close to one of the most famous Paris hotels: Ritz hotel on Vendôme place. 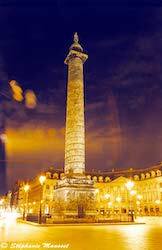 Vendome column throning in the middle of the eponymous place. 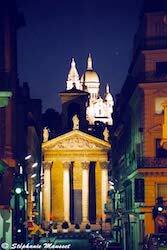 Night photo of Sacre coeur and in the foreground Notre dame de Lorette. 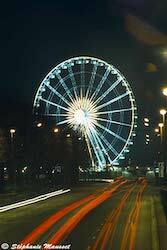 Night photo of the big wheel which used to settle at Concord place for the millenium celebration.